It is impossible to predict the full impact that Brexit with have on the care sector at this stage – many questions still remain unanswered. The impacts could be wide ranging, bringing about both opportunities and challenges. The key areas likely to be affected are government funding, recruitment and retention, administrative burdens and the retirement income of private fee payers. Much of this, however, will depend on the terms that the government is able to negotiate post-exit. This article provides guidance on the steps care home owners can take to maximise their profitability in an uncertain and challenging financial market, rather than focus solely on possible Brexit implications. As well as yearly National Minimum Wage increases, the introduction of the new National Living Wage, the ongoing onset of auto enrolment and the forthcoming apprenticeship levy (which will impact large care groups when introduced in April 2017) have put significant pressures on many care operators. This, in conjunction with government austerity public spending cuts, growing CQC requirements and the uncertainty created from the UK’s decision to leave the European Union, means that there are now many care operators up and down the country who are increasingly financially vulnerable and face the very real risk of failure. It is suggested that almost one in three companies that operate a care home is at risk of failure. The financial profile of the care sector makes for gloomy reading, but the good news is that there are ways in which care homes can relieve the pressures and maximise opportunities for growth: care homes have navigated around obstacles and financial challenges in the past. Both payroll costs and non-payroll costs are presenting major financial challenges for the care sector. 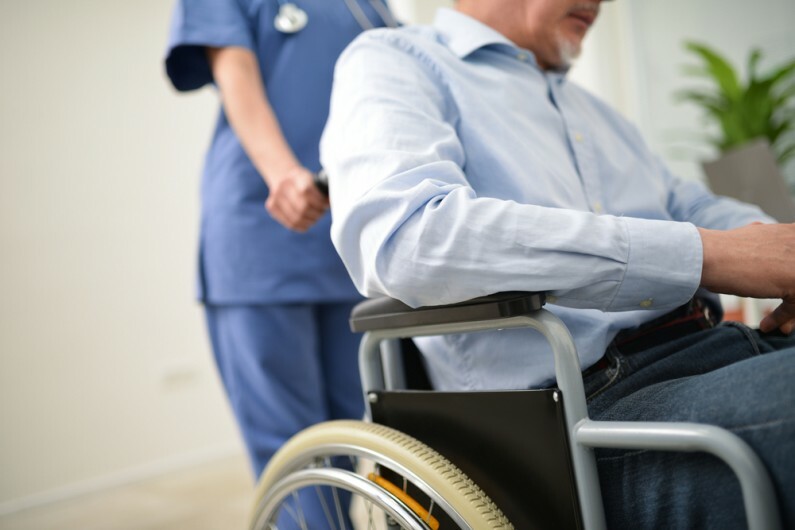 Payroll costs, which are the single biggest cost for operators (typically absorbing up to around 60% of care home fees), are a particular concern. From nurses, to caterers, cleaners, administration staff and receptionists, payroll costs largely unavoidable for care homes. But the burden of administration and compliance often takes up more time than it should and is a key area where care homes should be looking to minimise time and money spent. To reduce administrative costs, care homes should not only look at outsourcing bookkeeping and payroll matters but also look at internal processes and how unnecessary costs can be eliminated and staff time maximised. This could include implementing software/systems to improve efficiencies and save costs in the long term. From a pure tax perspective, no one relief or allowance will be enough to change the thinking of many care home operators, however; there are attractive tax planning opportunities available to encourage UK care homes to invest and grow. The recent changes to non-residential stamp duty and the certainty given to the Annual Investment Allowance have both brought about attractive tax planning opportunities for care homes. The certainty given to Annual Investment Allowance, in particular, could help those homes that are looking to complete refurbishments and update their facilities. This could have a knock-on effect on profitability too, as very often the look at feel of the home has a bearing on performance, with newer facilities typically outperforming less modern ones. Please seek professional tax advice before taking any action. Having an up-to-date and friendly website is key to attracting more private fee payers. Many care homes have outdated websites and this may be a good time to start thinking about an update, or even a complete redesign. Choosing a care home for a loved one is a huge decision and this is a decision which is increasingly (at least initially) being made online. Testimonials from current residents, latest CQC reports, accreditations and awards, pictures of the interior and exterior of the care home, a list of key features the home has e.g. lifts, en-suites and activity areas and contact information should be included on all care homes’ websites. You may be surprised at how such small changes can have such significant influences. This article only really scratches the surface of ways to maximise profitability in the care sector. There is of course no “one size fits all” approach and each care home should carefully consider their own financial standing and look internally at areas in which they can improve. We would recommend that you also seek specialist advice – the team at Hawsons can guide you as you consider how you can maximise the profitability within your care home. Our specialist care home accountants can assist your home in a variety of ways, including taking care of the bookkeeping or payroll matters, providing tailored tax planning advice, financial modelling and advising you on way of potentially mitigating the impact of administrative costs.